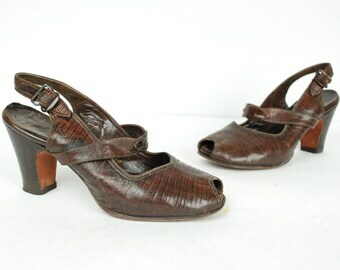 Vintage 1940s slingback heels in dark chocolate brown snakeskin reptile. The scales are glossy and supple, destined to be adored. 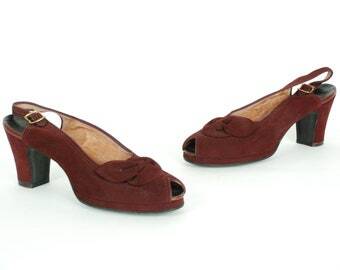 The heels are my personal favorite shape, blocky and squared, matching the blocked toe. 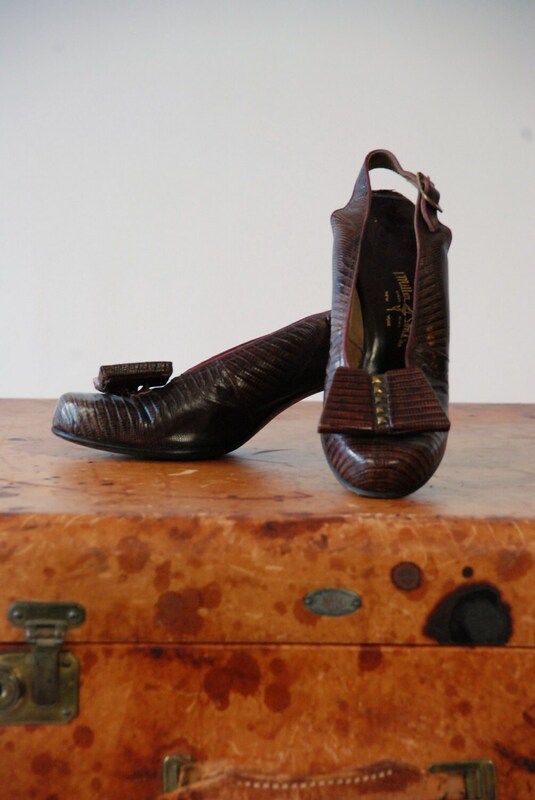 These shoes are fully lined with leather and grosgrain fabric lining through the toe. 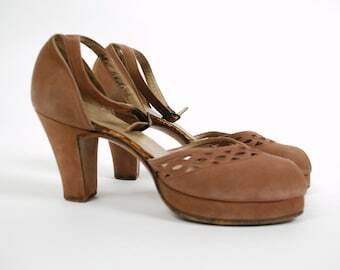 There are leather soles - great for dancing! 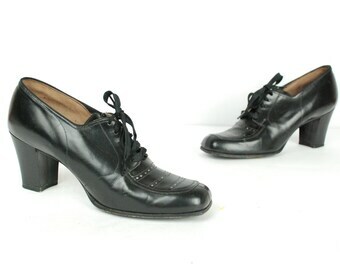 - and all leather heel taps. 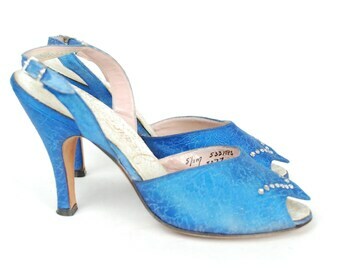 Made by one of the best names in 1930s and 40s shoes! 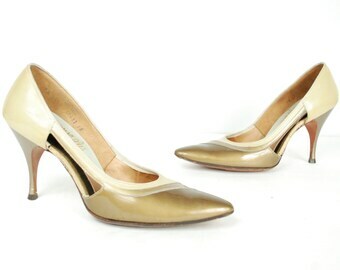 The shoes are incredibly supple and ready to wear. 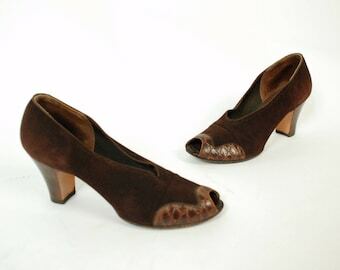 The soles show wear but are not at all worn out. 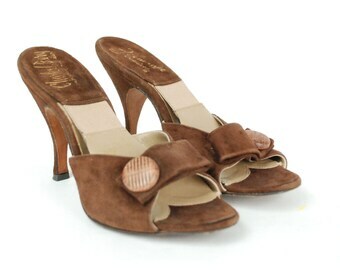 There is ever so slightl wear to the edges along the back of heel - see the 5th picture! I find no other issues to note.